I graduated Vocational School in 1925 at the age of 17, and found work through the school placement service. My first job was installing front and rear bumpers on new Chevrolets. I did this for seven months or more, but got tired of doing the same thing everyday with no chance of advancement. 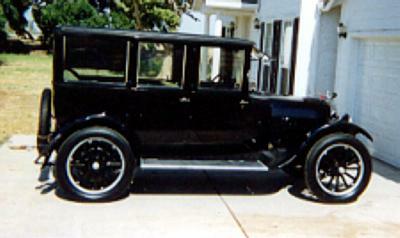 So I went to work for the Studebaker people where I purchased our first car- a 1923 Studebaker touring car for $75.00. I asked my parents if I could purchase it, and they gave their permission because of the good price, and certain other conditions. Those conditions were that I was to drive my family to the beach every week, or whenever they wanted to go. 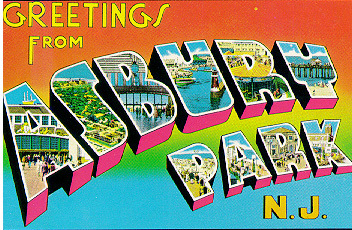 We took many trips in that car, to Long Branch, Asbury Park, and even Atlantic City. We would usually have a full day at the shore and drive home that same night. The car was well worth the $75.00 we paid for it. 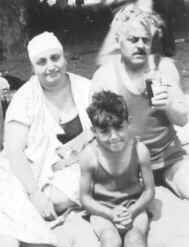 When we drove to the Jersey Shore we always packed several boxes of cooked food, fried chicken, peppers and onions, mushroom salad, a gallon of wine, a bottle of liquor, our bathing suits, table cloth, etc. We would use the running board hold the food and the baggage. It had one of those telescoping guards to keep packages from falling off. The liquor came in handy after you went swimming in the cold surf, and came out freezing. We would all get a shot or two or liquor to warm us up. My Mom and Dad liked a little liquor after a swim. She use to wash out a large vinegar bottle with the label still on it and fill it with liquor. Everyone thought it was vinegar or water. Sharp old timer, eh? Our one trip to Atlantic City turned out to be a disaster. We had a good day on the beach, but a torrential rainstorm on the return trip home. We hurriedly put up the side curtains for protection against the driving rain, and carefully headed home.